As part of his remit to tackle corruption and financial crime in Nigeria, the country’s president Muhammadu Buhari has issued proceedings against six central bank officials and sixteen private bankers for embezzling $40 million by recirculating decommissioned Naira bills. Nigerian president Muhammadu Buhari’s initiative to attempt to reduce the rampant corruption within the Nigerian monetary and political system has gained further ground this week, with investigators in the country looking to charge six central bank employees and sixteen private bankers with currency theft. 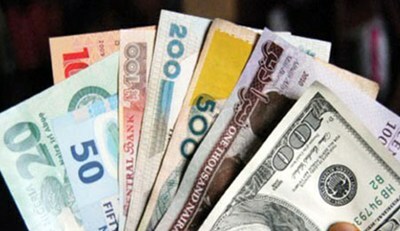 According to a report by the Wall Street Journal, the bankers consipired to operate a fraudulent scheme to recirculate decomissioned Naira bills, netting them $40 million. The suspects, who are due to start appearing in court on Tuesday, “literally allowed greed and craze for materialism to becloud their sense of judgment and responsibility,” the commission wrote on its website on Monday. President Buhari has effectively declared war on corruption. Economists say moving swiftly against at least a few corrupt officials or institutions will be important in burnishing his anticorruption bona fides, though the crime commission said its currency theft probe began long before Mr. Buhari’s election.